San Antonio is a city with a large senior community — 21.9 percent of the city’s population consists of individuals aged 55 and older — and it’s easy to see why. San Antonio has year-round warm weather, plenty of healthcare options and an abundance of local attractions for seniors to enjoy. Give your budget a break. Overall, Texas is a state that’s tax-friendly to retirees. San Antonio seniors don’t pay state income taxes on pension payments, retirement account withdrawals or Social Security income. On top of that, the cost of living in San Antonio is 5 percent lower than the state average and 14 percent lower than the national average, making it an affordable retirement location. The cost of housing in the area is 26 percent lower than the national average. This is great news for seniors relocating to the city because it shouldn’t be hard to find a house within your budget. If you don’t want to purchase a new home, the city also has a variety of assisted living facilities and many retirement communities from which to choose. Stay healthy. San Antonio has several hospitals that offer emergency medical care, including Metropolitan Methodist Hospital, St. Luke’s Baptist Hospital, Southwest General Hospital, and University Hospital. In addition to hospitals, primary care physicians and specialists, San Antonio has several healthcare clinics available, including Val Verde Clinic, the Lexington Clinic, and the Stone Creek Clinic. Explore San Antonio. You don’t have to own a car to explore San Antonio. VIA Metropolitan Transit operates the city’s public transportation service, and there are bus routes throughout the city. Seniors age 65 and older qualify for reduced fares — all you have to do is show the driver your ID. This makes planning a day trip in the city simple. Take the bus to River Walk to enjoy a meal on one of the many outdoor patios or head to the Pearl district on the weekend to peruse the district’s lively farmer’s market. If you need a ride to a doctor’s appointment or you just need door-to-door transportation, VIA Metropolitan Transit has a paratransit service available to area seniors. Call A Ride for Seniors (CARS) also offers door-to-door transportation. They’ve been operating throughout San Antonio since 1984, so keep them on your list of options in case you need a backup. Enjoy the climate. San Antonio is warm and dry all year long, which is ideal for seniors who appreciate outdoor activities. During the city’s mild winter season, the temperature rarely dips below 42 degrees Fahrenheit. Summers are sunny and hot, and it’s not unusual for temperatures to reach the upper 90s. Take advantage of senior services. San Antonio has 10 senior centers scattered across the city. Each center offers a variety of programs and events for seniors to enjoy, including exercise and continuing education classes, arts and crafts, dances and other social activities and field trips. Some centers also have libraries, serve regular meals and offer seniors who want to work assistance in finding reliable jobs. The Bob Ross Senior Center also offers a therapeutic swimming pool. Find plenty to do. 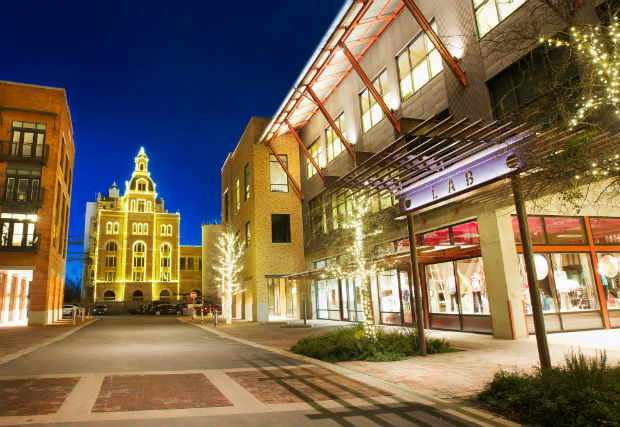 Living in San Antonio puts a wealth of attractions practically at your doorstep. The city has numerous museums, including the Witte Museum, the San Antonio Museum of Art and the McNay Art Museum. Seniors who enjoy history can tour the Alamo, the Guenther House and Historic Sunset Station at St. Paul Square. Seniors can also spend a day exploring the shops at River Walk, strolling through the Japanese Tea Gardens or playing golf at one of the nearby golf courses. As a retired senior, you’ll have more time to spend doing the things you enjoy. So it makes sense to choose a retirement location that gives you access to an abundance of amenities that fit your lifestyle. San Antonio has plenty for seniors to see and do, and with days full of sunshine and warm weather and plenty of health care options, it’s a wonderful place for seniors to call home.